Alda Games | Mobile & PC games with Heart! Our passion lies in creating entertaining and exceptional games for kids and adults. We're big fans of mobile technology thus we focus on development for iOS and Android. We're standing together since the beginning of 2013 and we believe that the only thing that matters is the power of ones imagination. It's pretty difficult to catch an eye of audience who is overload with flood of stimuli but we're trying hard to make games worth your attention. Vote for Band of Defenders on Steam Greenlight! Hi everyone, we are here with our new game, modern coop FPS with tower defense elements called Band of Defenders! Right now we are on Steam Greenlight, trying to get as many YES votes as possible. 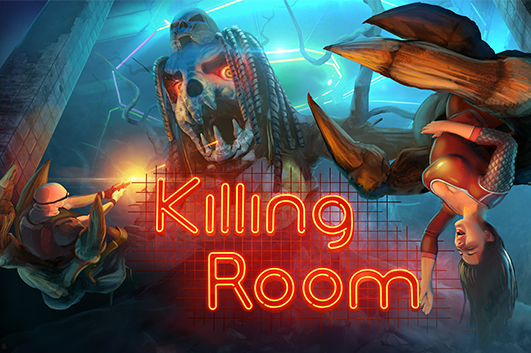 Killing Room was finaly released on Steam. We prepared for you launch discount so you can grab it only for 5.99 USD or fair regional price.